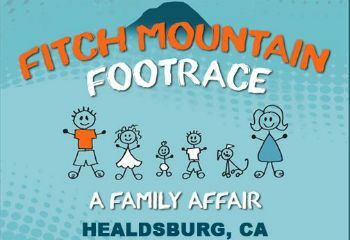 The Healdsburg Kiwanis Memorial Scholarship Fund, in association with Kiwanis Club of Healdsburg, is proud to announce the 45th running/walking of the Fitch Mountain Footrace. The purpose of this annual family event is to raise scholarship money to fund college scholarships for our local high school seniors. Each year over $10,000 in scholarships is awarded to our local kids. This event not only benefits the students of our community, but it also a great time for people to gather for some fun morning activities with the family. The run takes place in the Heart of Sonoma County's Wine Country; Healdsburg. 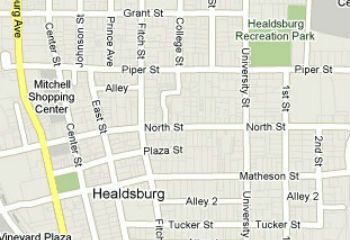 Both the 10K and 3K courses begin and end at the Historic Healdsburg Downtown Plaza. Come and enjoy a day in the wine country with great restaurants, world class wineries, and the beautiful Russian River. The 10K course travels through quaint neighborhoods and then out around the challenging Fitch Mountain along the Russian River, finally ending back downtown. The 3K course is an in-town loop, and is fairly flat; perfect for run/walkers, and families with young kids and/or dogs. Just want to support the cause? You can make a tax-deductible donation now! What is the Kiwanis Club of Healdsburg? The Kiwanis Club of Healdsburg is a local service organization consisting of members of the community who are dedicated to "serving the children of the world". The Kiwanis Club of Healdsburg was established in November 1923 and continues to support many Healdsburg organizations, families, children, and important community needs. Some of the programs we support, sponsor, or offer include the Relay for Life, Healdsburg High School’s Key Club, the Fitch Mountain Footrace, the Book Project, the FFA Food Booth (famous for our garlic fries), the Pancake Breakfast, and many high school scholarships. Kiwanis is a global organization of volunteers, dedicated to changing the world, one child and one community at a time. The name "Kiwanis" means "we trade" or "we share our talents". It was coined from an American Indian expression, Nunc Kee-wanis. Kiwanians are volunteers changing the world through service to children and communities. No problem is too big or too small. Why? Because working together, members achieve what one person cannot accomplish alone. When you give a child a chance to learn, experience, dream, and succeed, great things happen! Learn how you can help your community by joining our Healdsburg Kiwanis Club. ​ The Kiwanis Club of Healdsburg meets regularly Tuesdays at noon at the Villa Chanticleer’s Annex (with the 4th Tuesday of each month’s meeting in the evening at 7 pm). Drop us a note; we would be happy to hear from you.